Ecommerce store owners need web traffic in order to win new customers. How to pull in that traffic is another question. 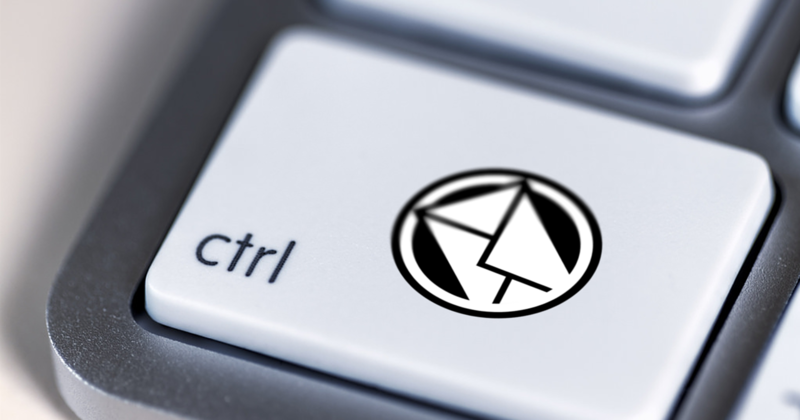 One answer, and a solid route to go down, is email marketing. There are many email marketing tools to decide between; an old favorite in this space is Constant Contact. 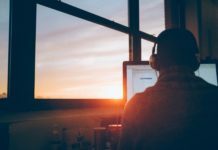 But it does have some limitations, and we have heard the question, “do you know a good Constant Contact alternative?” Well, yes we do, and here are the seven best options we can recommend specifically for ecommerce. If you are looking for an email marketing tool that has everything you can think of, plus some other stuff you probably never have, Omnisend is for you. From the ground up this tool is designed and optimized for ecommerce. You can get started for free with Omnisend’s generous free plan, offering 2,000 emails p/day or 15,000 emails p/month. This is not a skinny latte type free plan like many others offer, more a full-fat hot chocolate topped with cream. If you want to create strong coherent messaging across multiple channels this is all covered. You will be deploying Google ads and sending out that promotional birthday text message in no time. All types of popup can be crafted for your website too, which of course is pretty much essential to grow your email marketing list. Omnisend offers a very powerful email marketing suite. It is easy to use, with slick customization bursting to the brim with useful and effective features. 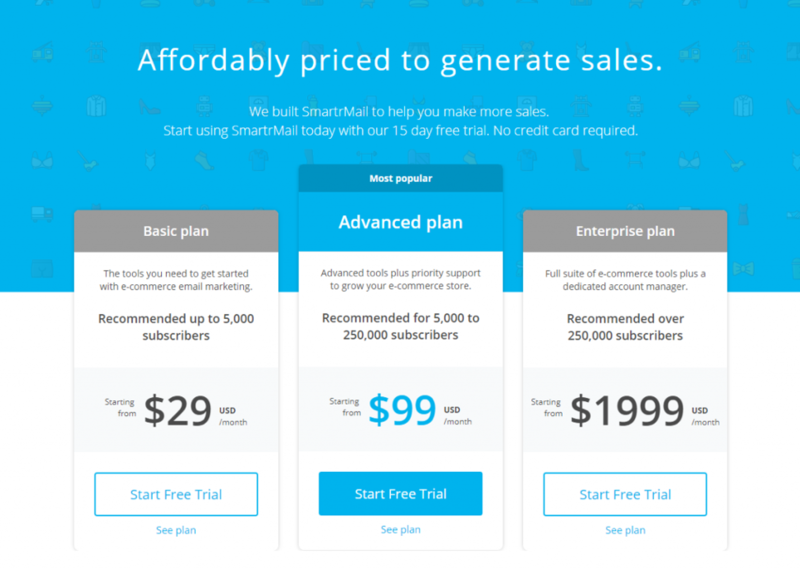 When just a basic email marketing option will suffice, SmartrMail could well be a good choice for you to dip your toes into the water of email automation. Email is pretty much all you are getting here though; unlike Omnisend’s full integration with Google and tools such as text message marketing, SmartrMail strips away these features. 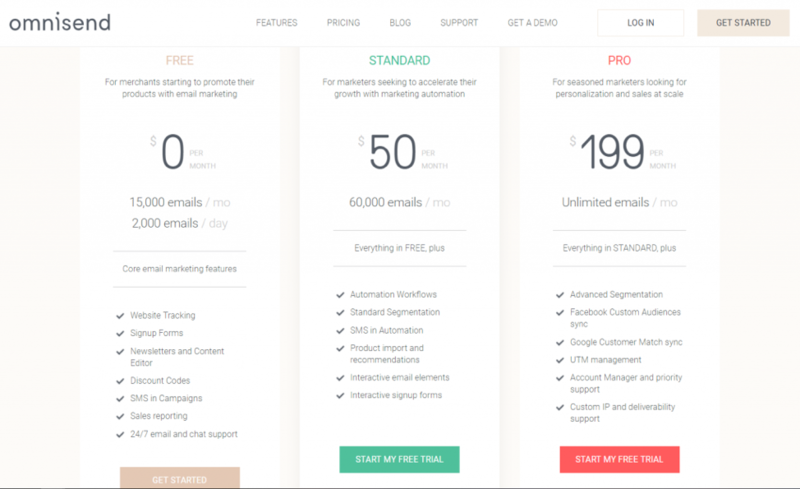 What it does do well is get you set up pretty quickly with simple email automation. You will have to pay to kick things off though, so not the one for you should you require a free test drive. Our number 3 is a bit of a wild card. Why? It makes the list because of its usability and straightforward navigation. 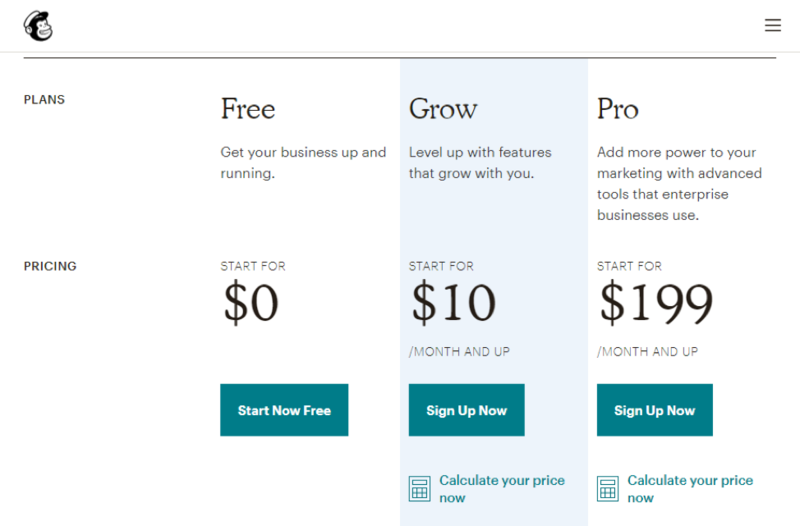 But MailChimp suffers a chink in the armor when it comes to pricing.On first appearance, the pricing looks good. But a calculator and caffeine fix is needed to work out just how their tiered system works, based upon the number of subscribers you have. Puzzling pricing aside, MailChimp is a very common tool amongst email marketers and has a very nice visual way to edit your campaigns. 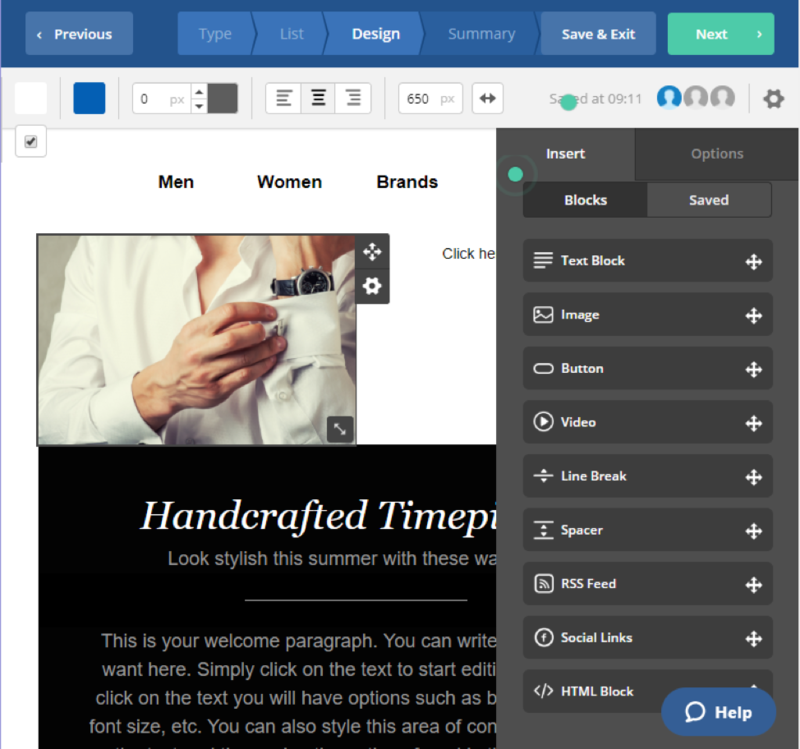 SendinBlue is a good option if you want a visually pleasing email marketing platform. It isn’t on the same level spec for spec as Omnisend, but it offers great email automation that is easy to view and digest what’s going on. Unlike SmartrMail, SendinBlue does also have SMS tools you can deploy in your email marketing campaigns. SendinBlue is a simple and visually pleasing option. It can do a little more than just the basics should you need a few additional tools than the most basic platforms. Drip has a really simple dashboard that works just as you expect and does all the things you ask without fuss. The email builder is good, but you should bear in mind that the feature set is a little lacking compared to more all-round options on our list. Drip could offer a good alternative for those looking for an entry-level and easy to operate email marketing platform. 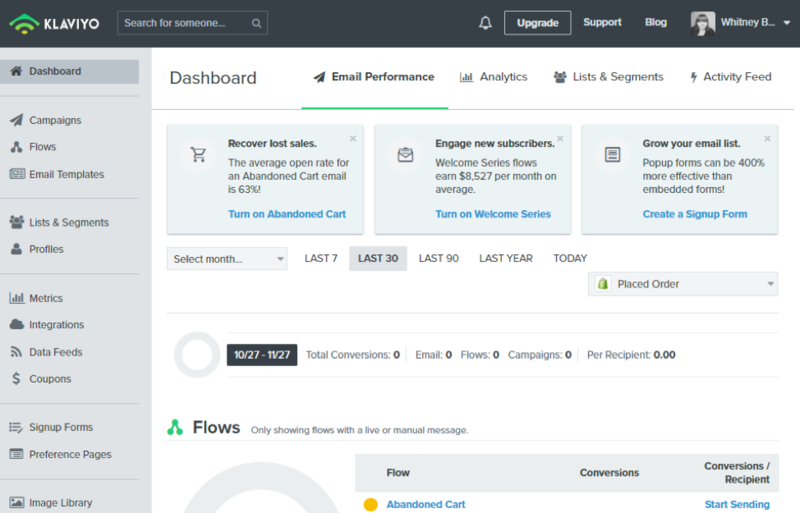 ActiveCampaign offers an alternative workflow and looks more like a CRM. 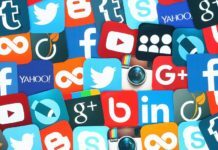 You place all your contacts into the system, then craft your campaigns based on these lists. It is also unique in the way you can manage multiple domains. This is a real strength of ActiveCampaign, offering great flexibility to assign different campaigns to any domain you choose. If you have multiple domains, and like the idea of a CRM first tool, ActiveCampaign is an ideal alternative to Constant Contact. 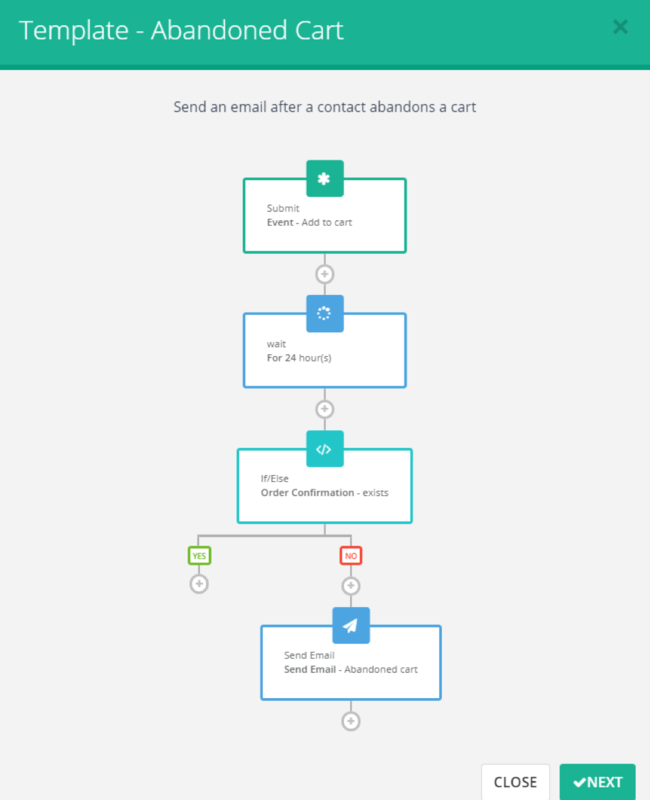 Klaviyo is a very complete tool, particularly when it comes to email flow automation. Again, like Omnisend and a few others on our list, they offer a free plan for you to give the platform a try. However, the main downside to Klaviyo is when you want to get serious, the pricing soars. It is the most expensive marketing tool on our list with pricing at $175 once you reach 3000 contacts. All-in-all Klaviyo offers ecommerce marketers a very advanced tool, including the same kind of sales focused features as Omnisend. As you can see, there are some very good options when it comes to selecting a Constant Contact alternative. Each has a unique offering, but if you take the time to digest what we have covered, you can ensure your ecommerce store gets the very best out of your email marketing campaigns.